To find photos, more things to do, and other tourist information, refer to the Sydney travel route planner . Frankfurt, Germany to Sydney is an approximately 24-hour flight. You can also do a combination of flight and bus. You'll lose 9 hours traveling from Frankfurt to Sydney due to the time zone difference. Expect little chillier temperatures when traveling from Frankfurt in August; daily highs in Sydney reach 22°C and lows reach 11°C. You will leave for Cairns on the 9th (Fri). Your day-by-day itinerary now includes Great Barrier Reef Submarines as well as Shark Diving. Step off the beaten path and head to Birdworld Kuranda and Freshwater Station. Take a break from the city and head to Hartley's Crocodile Adventures and Scuba & Snorkeling. The adventure continues: step off the mainland to explore Michaelmas Cay. For reviews, other places to visit, photos, and more tourist information, read our Cairns online holiday planner . You can fly from Sydney to Cairns in 6 hours. Alternatively, you can drive; or take a train. Traveling from Sydney in August, expect Cairns to be somewhat warmer, temps between 31°C and 20°C. Wrap up your sightseeing on the 11th (Sun) early enough to travel to Magnetic Island. Visiting Magnetic Island Forts Walk and Magnetic Island National Park will get you outdoors. Relax by the water at Geoffrey Bay and West Point. To see ratings, other places to visit, reviews, and more tourist information, read our Magnetic Island vacation planner. Getting from Cairns to Magnetic Island by combination of flight and ferry takes about 4.5 hours. Other options: do a combination of car and ferry; or do a combination of bus and ferry. Expect little chillier evenings in Magnetic Island when traveling from Cairns in August, with lows around 17°C. Cap off your sightseeing on the 16th (Fri) early enough to travel to Bowen. Bowen is a coastal town and locality in the Whitsunday Region on the eastern coast of Queensland, Australia. Start off your visit on the 16th (Fri): don't miss a visit to Mother Beddock Rock and then kick back and relax at Horseshoe Bay. To see reviews, other places to visit, photos, and tourist information, use the Bowen day trip planner. Use the Route module to find suitable travel options from Magnetic Island to Bowen. Traveling from Magnetic Island in August, plan for a bit cooler nights in Bowen, with lows around 13°C. You will have some time to spend on the 17th (Sat) before leaving for Hamilton Island. Start off your visit on the 18th (Sun): enjoy the sand and surf at Grays Bay and then get a new perspective on things with Boat Tours & Water Sports. On the 19th (Mon), you'll have a packed day of sightseeing: enjoy the sand and surf at Catseye Beach. Plan trip to Hamilton Island with our itinerary maker to find out where to go and what to do. Use the Route module to find suitable travel options from Bowen to Hamilton Island. Expect a bit cooler weather when traveling from Bowen in August: highs in Hamilton Island hover around 26°C, while lows dip to 21°C. 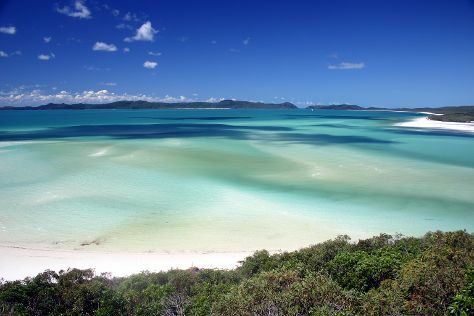 Finish your sightseeing early on the 20th (Tue) to allow enough time to travel to Whitsunday Island. Kick off your visit on the 20th (Tue): kick back and relax at Whitehaven Beach and then identify plant and animal life at Whitsunday Islands National Park. To find more things to do, photos, and other tourist information, refer to the Whitsunday Island tour app . Explore your travel options from Hamilton Island to Whitsunday Island with the Route module. Expect little chillier evenings in Whitsunday Island when traveling from Hamilton Island in August, with lows around 13°C. Finish your sightseeing early on the 21st (Wed) so you can take a bus to Airlie Beach. Start off your visit on the 21st (Wed): discover the deep blue sea with a scuba or snorkeling tour. Get ready for a full day of sightseeing on the next day: take a tour by water with Boat Tours & Water Sports, explore the activities along Heart Reef, then indulge in some personalized pampering at some of the best spas, and finally stop by Grotty Yachty Clothing. For more things to do, reviews, and tourist information, read Airlie Beach trip itinerary site . You can take a bus from Whitsunday Island to Airlie Beach in an hour. Alternatively, you can ride a ferry. Traveling from Whitsunday Island in August, expect nights in Airlie Beach to be a bit warmer, around 21°C, while days are slightly colder, around 26°C. On the 23rd (Fri), wrap the sightseeing up by early afternoon so you can travel to Fraser Island. Start off your visit on the 24th (Sat): tour the pleasant surroundings at Seventy-Five Mile Beach and then contemplate the waterfront views at Lake McKenzie. Get ready for a full day of sightseeing on the next day: delve into the lush surroundings at Central Station Rainforest and then contemplate the waterfront views at Lake Birrabeen. To see where to stay, traveler tips, reviews, and tourist information, read Fraser Island tour app . Traveling by combination of car and ferry from Airlie Beach to Fraser Island takes 16.5 hours. Alternatively, you can do a combination of bus, ferry, and car. Traveling from Airlie Beach in August, Fraser Island is a bit cooler at night with lows of 13°C. Wrap up your sightseeing by early afternoon on the 26th (Mon) to allow enough time to travel to Brisbane. 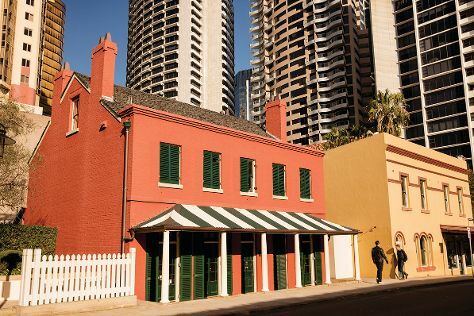 Start off your visit on the 14th (Wed): take a stroll through West End and then wander the streets of Queen Street Mall. 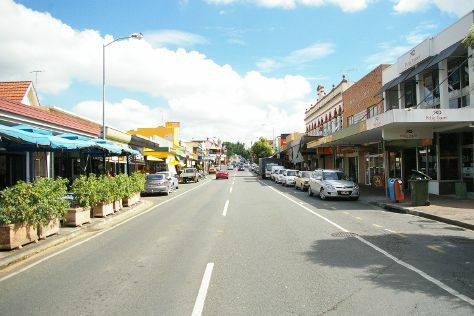 To see photos and more tourist information, read our Brisbane road trip planner. You can drive from Gold Coast to Brisbane in an hour. Alternatively, you can take a bus; or take a train. Expect a daytime high around 25°C in August, and nighttime lows around 11°C. Wrap up your sightseeing on the 14th (Wed) early enough to travel to Fraser Island. Start off your visit on the 28th (Wed): explore the wealth of natural beauty at Natural Bridge. To see photos, more things to do, reviews, and tourist information, use the Gold Coast itinerary maker tool . Getting from Brisbane to Gold Coast by car takes about an hour. Other options: take a bus; or take a train. In August, daily temperatures in Gold Coast can reach 25°C, while at night they dip to 11°C. Finish your sightseeing early on the 28th (Wed) so you can travel to Sydney. See even more of Sydney: take a stroll through The Rocks and kick back and relax at Balmoral Beach, Mosman. To find reviews, where to stay, more things to do, and more tourist information, you can read our Sydney road trip website . You can fly from Cairns to Sydney in 6 hours. Other options are to drive; or take a train. In August, Sydney is a bit cooler than Cairns - with highs of 22°C and lows of 11°C. You will leave for home on the 2nd (Mon).